Need a Chicago Limo and Rates? You are in the right place! Rates above include everything except for parking passes and 20% chauffeur's gratuity which is added to all bookings. wn is one of the largest and best limousine service providers in town. We are one of the highest regarding transportation Chicago Limo companies. Our first priority is to provide you the best Chicago Limo Rates with most reliable convenient, safe and pleasant Limo riding experience. With many years of experience in limousine industry, we know the numerous ways to make our client happy differently, not just being different we serve much better service to valued clients. Keeping in mind we offer competitive Chicago Limo Rates, so everyone else could enjoy Chicago Limo riding experience. Our services are available 24/7, 365 days a year to meet all your Chicago limo needs. 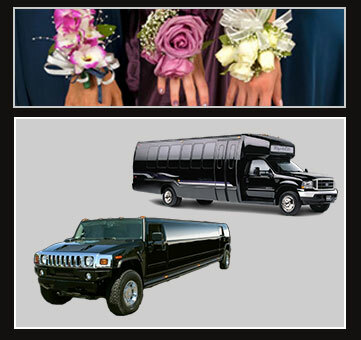 Chicago limo offers a wide range of transportation services to suit your personal and corporate needs. We provide professional, reliable and personalized chauffeured transportation for all occasions. All Prom Rates above driver gratuity not included ! Prom Limo deposits are non-refundable. Any cancellations within 14 days of prom date will be a full charge. No exceptions! Travel time will be billed at the normal Saturday night rate per hour . We use mapquest to estimate travel time from our location to your pick up address.